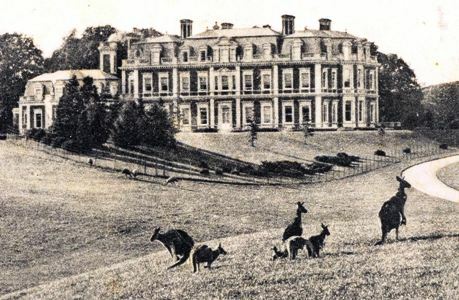 In 1889, when Lionel Walter Rothschild came of age, his father, the first Baron Rothschild, gave him a piece of land in Tring Park on which he built two cottages, one to house his collection of insects and books and the other for a caretaker. 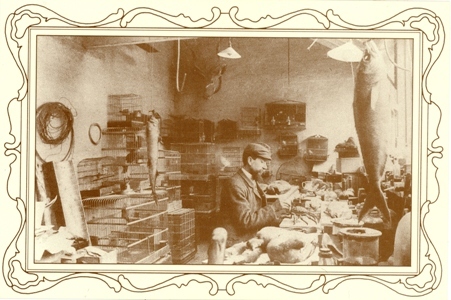 A much larger building designed for the display of mounted specimens was also built and first opened to the public in 1892. 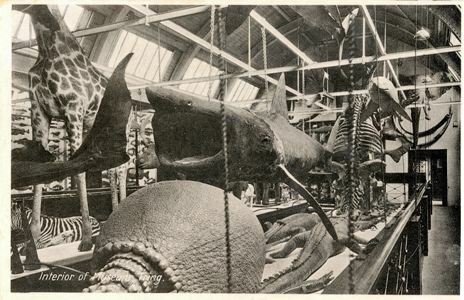 As his collections grew, he continued to devote much thought and care to the arrangement of the galleries, selecting especially fine specimens for exhibition and sparing neither time nor expense over their preparation. Thus in addition to their scientific interest, the specimens displayed are outstanding examples of the taxidermist's art of the 19th century. 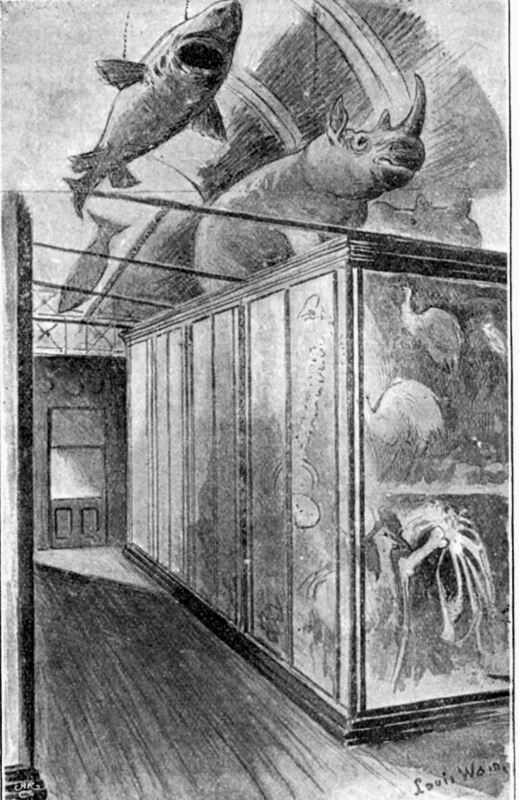 The Museum continued to expand, and in 1910 and 1912 additional wings were added to the main building in order to accommodate the study collections of birds and insects as well as to provide more space for exhibits. 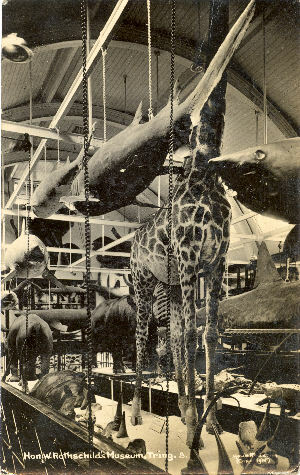 When the Museum was bequeathed by Lord Rothschild to the British Museum in 1938, the collections included more than 2000 complete mounted mammals and a similar number of study skins and skulls, more than 2000 mounted birds and twice as many skins, about 1000 reptiles and amphibians, about 1000 fishes, and a vast collection of insects including some two million Lepidoptera. The library consisted of nearly 30,000 volumes. In 1972 an extensive modernization of the public galleries was completed, while retaining the basic arrangement and character of the Museum. The new building, erected to the north-east of the Museum and opened in 1972, has been specially designed to accommodate under the best possible storage conditions and with study facilities for those who wish to work on them, the national collections of bird skins and other ornithological specimens, and has made Tring a principal centre for research in ornithology. In 1895 the celebrated artist Louis Wain wrote a long illustrated article "The Hon. 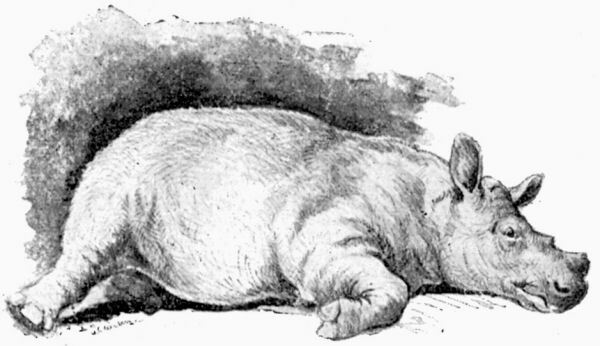 Walter Rothschild's Pets" briefly escribing Tring, and in much more detaik the museum and the animals in the Park. Photograph from the Grace collection. 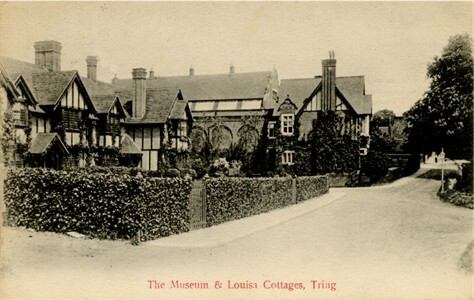 One of 9 postcards issued to celebrate the centenary of the museum, 1892-1992. Alfred Minall was born in Tring, in 1851, the son of carpenter, George Minall and his wife Eliza. In 1881 he was a joiner living in Albert Street. 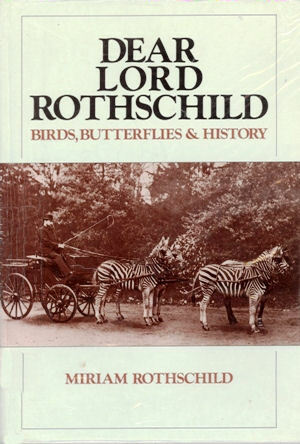 He was an amateur taxidermist who encouraged the young Walter Rothschild's interest in collecting stuffed animals and insects. When the museum was built he moved into the caretaker's house in Park Street. 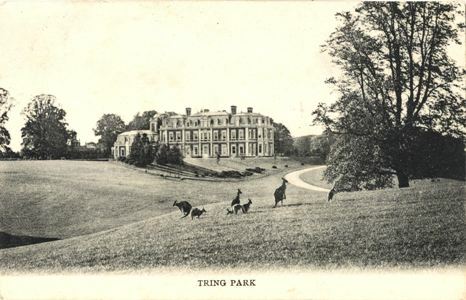 In addition to building the museum, Walter Rothschild also introduced a number of exotic animals into Tring Park. One of the smaller introductions was the edible dormouse - which has gone native - and can still be found in the area. 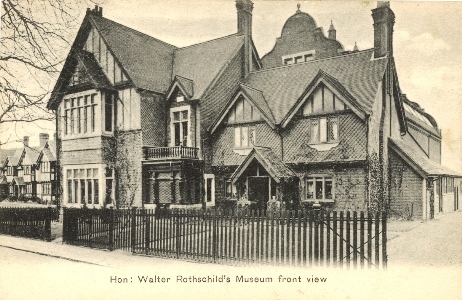 A detailed biography of Walter Rothschild, who, in his museum in Tring, assembled the biggest collection of natural history specimens ever made by one man, assisted by more than 400 collectors working all over the world. 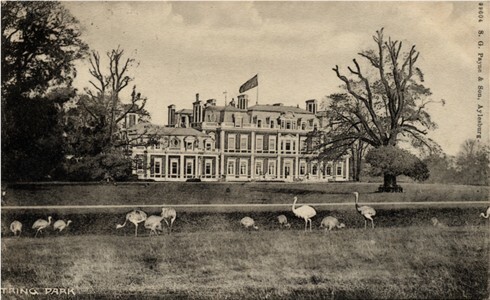 The book contains many photographs, and provides much interesting background on the role of the Rothschild family in Tring. 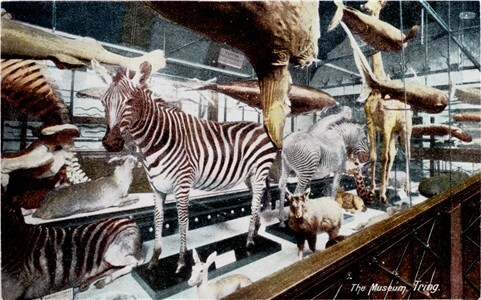 The book has been republished as a paperback under the title Walter Rothschild - The Man, the Museum and the Menagerie, available from the Museum web site.